A modern design with clean angular lines, robustly constructed with either LH or RH inward opening toughened glass door options. Similar in style to The Savana, this bath features a different positioning of the door. 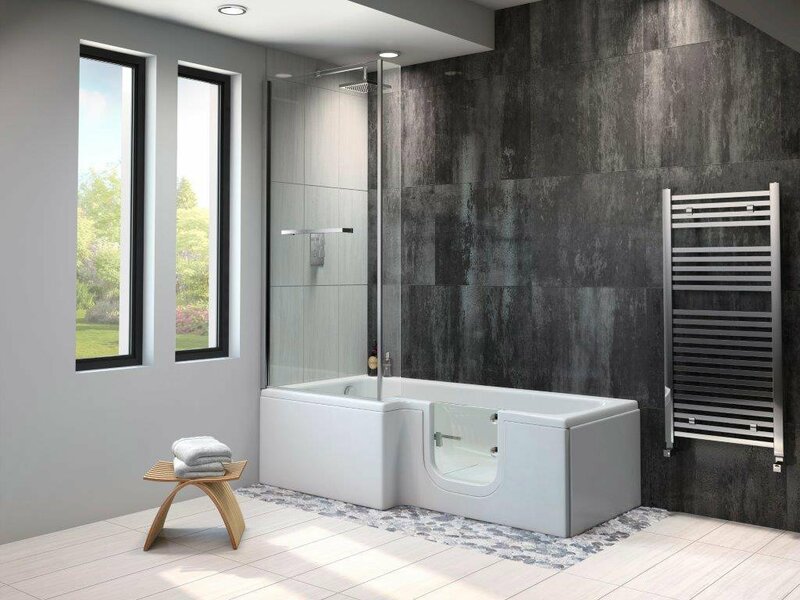 Included is a toughened glass “L – shaped” shower screen with bright silver pillar and handle.